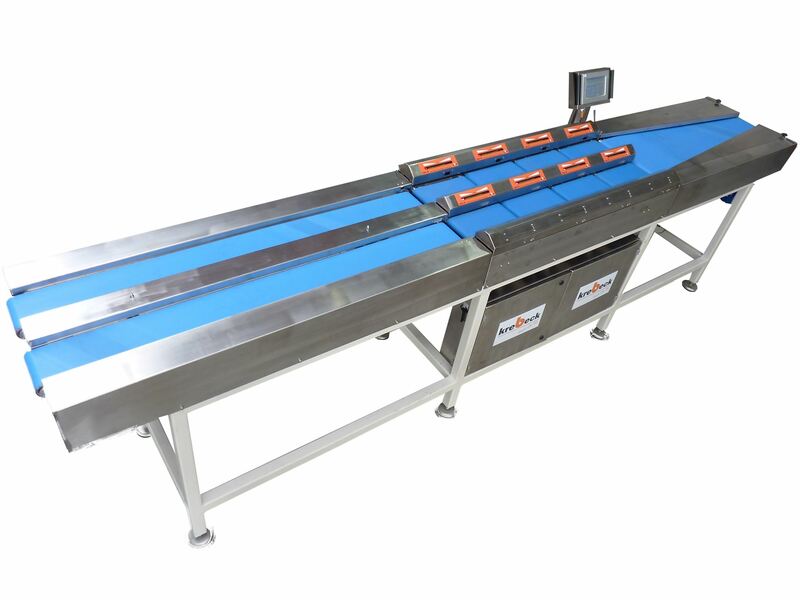 The Kontroll-8 weighing line has 2 x 4 weighing systems, each with its own weighing belt and own weighing display. With this, one person can check the target weight for up to 8 punnets nearly in one go and can correct the weights by admixture or withdrawal of products. The feeding of the punnets to the weighing belts is done via two infeed conveyor. The respective weight displays consist of an LED bar with 16 color LEDs for a traffic-light-like display for under, target and overweight, which allows rapid control and correction operations.